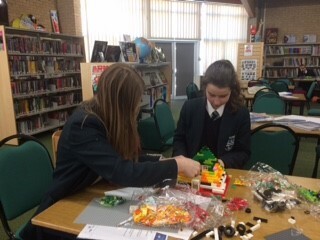 With the shortage of homes in the UK at a peak and likely to be an area of skills shortages in the coming years, at St John Leman 6th Form, Year 9 students are taking up the challenge. The Sustainable Homes Challenge takes part in the next six weeks. The project aims to make the students aware of what range of skills and careers are needed to fulfill Suffolk's, and in turn the Government's, house building programme. The project looks at a range of skills from construction workers, architects and designers to marketing and finance. Higher Education Champion Rita Dattani said "The project also aims to help students with soft skills. Students initially completed a skills audit from the Take Your Place programme. This showed that most students wanted to improve their presentation and time managements skills so this has been encorporated into the programme. "The students first completed a SWOT analysis to find the 'Strength, Weaknesses, Opportunities and Threats' to strengthen their project plan. 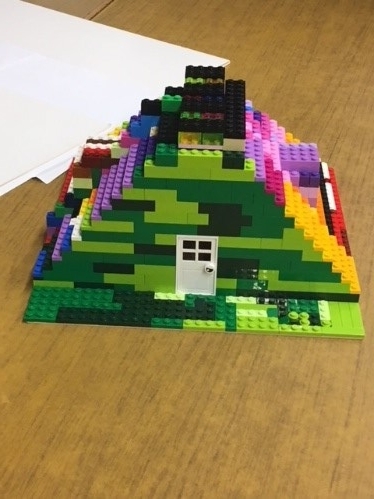 They then looked to create a lego model of a feature which could be used or displayed in Beccles town centre. I love the results!" Our next session with year 9 students at St John Leman was on how to present yourself. We had some interesting discussions about what makes a good or bad presentation and how to sell yourself. The students were asked to think of their favourite teacher and why they like them. "The room looks great" "they are funny" "they know stuff about the subject" were just some of the responses we got. The students then discussed how they should look and behave when they present? This led onto a quick training session on effective handshakes. One student said "I'll make sure my hands are clean and not sweaty!" All had a good time and looking forward to presenting to the panel at the next session! Due to snow disruption, we lost a week of planning. There was no time to lose. All groups worked as finely tuned teams in order to complete the challenge. Mrs Copeman, class teacher at St John Leman, commented “it was a pleasure to see how well all the groups were working as a team”. Designs are due to be judged soon - stay tuned for the next update. This team had two main designers and two researchers. Here we see the researchers busy finding out which bricks would retain the most heat. Tom, directed his team well, giving each a role. It was clear they had a shared vision. Each team member was able to explain why they had chosen this design and who their target market was. Millan said “it could be used for disabled people because of the lift, but I think it would be better for single people or couples living in the city, with no kids. Students have been working over the last few weeks on their designs for the Homes of the Future. Their amazing designs have combined environmental concerns, stylish living and issues facing amount land available. All the teams were required to pitch their designs to a team of experts. Bernard Warns (Architect and business owner) Edwin Bussy (East of England Construction Training Group) and Corinne Langham Fitt (Take Your Place County Coordinator). 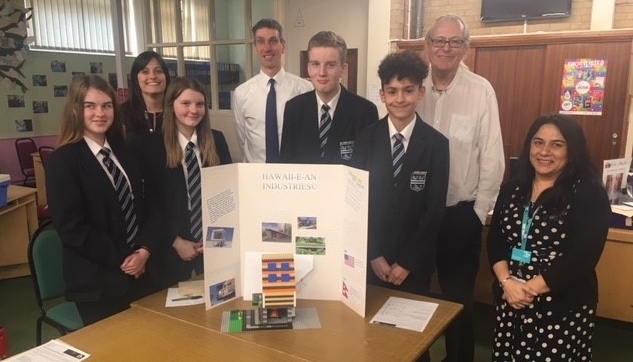 One judge commented, “all the teams worked remarkably well and have researched their designs carefully,” while another stated “how professional the presentations were”. 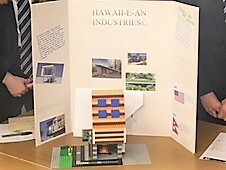 The winning design was from Hawaii-an-industries. During their presentation it was clear they had worked collaboratively, with each team member having a role. They discussed all aspects of the design from building materials, how the design could be adapted for different counties and environments to global pricing.